Diabetes, high blood pressure and high cholesterol can affect both quality and quantity of life, if not treated. These conditions do not discriminate – they can affect all age groups and all ethnic groups. If you have diabetes, there is no getting around the fact that taking care of yourself can be expensive. The cost of medical care, diabetes medications and supplies, and healthy foods add up. These expenses can be difficult to manage even in the best of times. In hard times it can seem impossible. With the current economic downturn, many people are having trouble with even the most basic diabetes expenses. Those with chronic health conditions, especially diabetes, are cutting critical things like doctor’s appointments and essential medications. These hard decisions, often made without input from a doctor, can have serious—even life-threatening—consequences, especially for conditions like diabetes that require close monitoring. If you start skipping doctor’s appointments, medications, or blood sugar monitoring without telling your doctor or pharmacist, the consequences can be downright scary. Unchecked sky-high blood sugar levels in diabetics with type 1 diabetes can cause diabetic ketoacidosis, a dangerous condition that occurs when your body doesn’t have enough insulin and starts breaking down fat for energy. It ultimately makes your blood so acidic it can kill you. A night in the emergency room or a week in the hospital can rack up a lot of money in health care costs. Plus, you may set back your treatment so much that you need to start additional, more expensive medications just to get healthy again. If you need to make a change in your diabetes treatment plan because of financial strains, talk to your doctor or pharmacist first—they’ll likely find a way to help. If you’re one of the millions of people suffering from diabetes, you may be looking for ways to save money on health insurance and other diabetes-related health costs. Thankfully, there are steps you can take to keep your diabetes and your health care costs under control. Even on a limited income, there are many cost-effective ways to control this condition, such as increasing physical activity and making better dietary choices and taking a look at the use of various herbs/spices, instead of salt to flavour food. Having diabetes mellitus (DM), means your body is not effectively using the insulin it is producing to metabolize your food, and it is not producing as much as insulin as it should. Diabetes, if uncontrolled, can affect the heart, kidneys and eyes over time. Type 1 diabetes requires treatment with insulin because the pancreas cannot produce insulin, while Type 2 diabetes can be treated in its early stages by taking pills. Very typically however, if you have Type 2 diabetes, you will require insulin over time. This is due to the continued decrease of insulin production in your body, eventually requiring supplementation of insulin. So how does one deal with diabetes on a low budget? Under your doctor’s advice, you may be able to delay the need for pricey prescriptions and daily home blood sugar testing with smart lifestyle changes. Losing weight, eating more foods packed with certain nutrients—including fiber and omega-3s—and exercising at least a few times a week can steady blood sugar levels to a point where you may not need medication or can start on a lower dosage. Exercise of just 30 minutes daily has been shown to maintain weight or even cause weight loss. And exercise can increase insulin sensitivity, meaning less insulin is needed to control your blood sugar. You can cut food costs by eating more meals at home and by making sure they feature some of the healthiest foods from your supermarket — foods like whole grains, vegetables, and beans. Generally, you can feed an entire family of four for the same price as buying food for one or two people at a restaurant. Click here for Free Ebook called “Lower Your Energy Costs”.Throughout this e-book you will learn things that you can do right away to improve the energy efficiency of your home. Fruits and vegetables are a source of dietary energy (calories), they provide key nutrients at a reasonable cost. Don’t be afraid to buy frozen vegetables in the freezer section of your local grocery store . Sure, I love fresh vegetables, but since frozen veggies are picked and then frozen at peak ripeness (and thus most nutritionally dense), they are often a better value while being edible for months longer. Furthermore, you gain the advantage of being able to take out only what you’re about to use. The rest will be kept safe from spoiling in the freezer. You will find that if you take advantage of healthy foods on sale (especially buy one get one free deals), many foods that are listed here will suddenly become great value! 1.Stir-fry: Heat a little vegetable oil/olive oil in a frying pan. Add diced chicken breast or pork loin and brown. Add chopped vegetables of your choice and sauté until tender-crisp. Season with a splash of low-sodium soy sauce . Serve over cooked brown rice. Complete the meal with a dish of mandarin oranges and a glass of milk. 2.Casserole: Place 4 cups cooked brown pasta in a casserole dish. Add 2 cups cooked beef, chicken, pork, or beans. Add 2 cups green beans (drained) or broccoli (thawed and drained). Add 1 can diced tomatoes with juice and 1 teaspoon Italian seasoning. Salt and pepper to taste. Combine. Top with 1/4 cup shredded cheese. Bake for 30-45 minutes in 350 degree oven until hot and bubbly (and reaches an internal temperature of 165 degrees). Serve with apple slices and a glass of milk. 3.Omelet: Cook up eggs with your choice of fillings: veggies, shredded cheese, diced cooked meat or deli ham. Serve with orange slices and whole wheat toast. 4.Tuna/Chicken/Egg Salad: Mix cooked diced chicken, canned tuna or salmon, or hard cooked eggs with diced veggies of your choice (celery, onion, bell peppers, carrots, etc.) in a medium bowl. Coat lightly with low fat mayonnaise and mustard or salad dressing. Add salt and pepper to taste. Serve on toasted brown bread, in a whole-grain wrap or on top of a leafy green salad. Complete the meal with peaches and plums and a glass of milk. 5.Smoothie: Blend together 1 cup yogurt, 1 banana, 1 cup strawberries, and 1/2 cup milk. 6.Stuffed Potato: “Bake” a potato in the microwave. Slit the potato open and top with 1 teaspoon soft light butter. Add lowfat cheese and a dollop of salsa. Serve with carrot sticks and grapes. Gotta Have It Simple & Easy To Make 37 Best Shepherd’s Pie Recipes! 1.Preheat the oven to 190 C / Gas mark 5. 2.Heat the oil in a large frying pan over medium high heat. Add the onion and carrot and cook over a medium heat until soft. Add the mince and cook to brown. 3.Add the tinned tomatoes, purée, beef stock, mixed herbs and Worcestershire sauce. Season to taste with salt and pepper. Cover and simmer for 30 minutes. 4.Meanwhile, boil the potatoes in water until soft. Drain and mash with the mustard, butter and milk. Season with salt and pepper to taste. 5.Spoon the mince mixture into a casserole dish. Top with the mash and bake for 30 minutes until golden brown. The potato topping can be replaced by a mix of potato and sweet potato or parsnip for a delicious twist (and a lower GI score!). Place the carrots ,parsnips ,celery and potatoes in the bottom of the casserole dish. Remove any string from the lamb joint and place on top. Season with salt and pepper. Pour over the hot lamb stock, cover and cook for about 3 to 4 hours in an oven at 200 C/Gas mark 6. When ready to serve, remove the lamb carefully (use 2 forks to lift out as it will fall apart – no need to carve, just pull the meat apart). Make up about 120ml boiling water with the Bisto and ladle in a few ladlefuls of the juice from the casserole dish to taste. Plate up the lamb and vegetables and serve with Yorkshire puddings, mint sauce and gravy. leftover lamb is great in sandwiches with mint sauce. 8.Apply Now to Receive Your Share Exciting Government Grant Programs. Click Here for a free Ebook about the funding that’s now available to you! There are many ways to stay healthy and maintain good diabetic control even on a very tight budget. These include planning your meals, cooking at home, and making smart choices at the grocery store and with all diabetes-related health costs. Keep in mind poor diabetic control comes with more medical costs, drugs and even reduced work capacity. You really can’t put a price on good health! 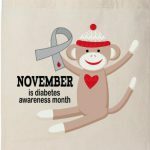 Hi there, this is such a great post for those suffering with diabetes. Unfortunately health does cost so much money and a lot of the time it’s those with very little money that need it more. With something like diabetes there is no getting around the use of conventional meds but you are absolutely right in saying that health care costs can be lowered with making a few changes to your lifestyle. I think this is what is missing in our health system is giving people help and information to make the changes themselves and in turn becoming healthier and saving money- a win win situation. Studies have proven that poverty creates ill- health, and how ill- health leads to poverty. They also highlight the link between good health and economic survival. Poor people everywhere say how much they value good health. A fit, strong body is an asset that allows poor adults to work and poor children to learn. Good health is crucial to protect familys from poverty, so better health is central to poverty reduction. Improving the health of the poor must become a priority, not only for public health but also for other sectors of development -economic, environmental and social.